Nigeria has set in motion processes to implement the newly adopted global framework to curb the risk of natural disasters. Known as the “Sendai Framework for Disaster Risk Reduction (SFDRR),” the agenda was endorsed last March in Sendai in Japan, replacing the 10-year Hyogo Framework of Action (HFA) that came to an end this year. The SFDRR,however, will span 15 years (2015-2030), while emphasising a shift from disaster management to disaster risk management and recognising the importance of a well-functioning health system. 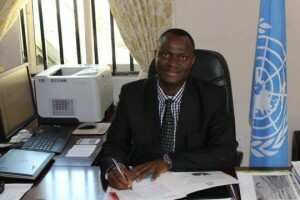 At a two-day forum held last week in Abuja by the National Emergency Management Agency (NEMA), the United Nations Development Agency (UNDP), and the United Nations Office for Disaster Risk Reduction (UNISDR), participants reviewed the outgoing HFA and explored priorities of action to implement the SFDRR. Under its tenure, the HFA influenced the establishment of the National Platform for Disaster Risk Reduction (DRR), mainstreamed DRR into the nation’s disaster management policies and programmes as well as professional institutions, and developed a DRR and climate change curriculum for schools. The HFA also established Centres for Disaster Risk Management and Development Studies in six universities across the nation’s six geo-political zones, and decentralised DRR through the establishment of Zonal and Operational Offices across the country. In the light of experiences gained through the implementation of the HFA, NEMA has underlined the need for focused action under SFDRR in priority areas, including: understanding disaster risk, strengthening disaster risk governance to manage disaster risk, investing in disaster risk reduction for resilience, and enhancing disaster preparedness for effective response. “The document is expected to help us in developing strategies to further reduce risk and build nations and communities resilient to disasters. It therefore presents us yet another unique opportunity to commit more efforts towards disaster risk reduction and resilience building in Nigeria. We must recognise that one driving force in achieving the goals in this framework is strong commitment towards political leadership and will,” declared NEMA Director General, Muhammad Sani Sidi. 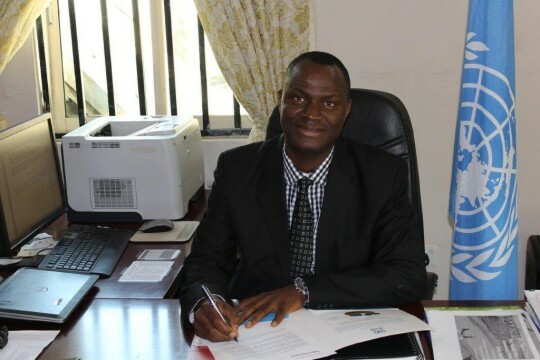 The Country Director of UNDP, Dr. Pa Lamin Beyai, Beyai noted that the HFA achieved its objectives, stressing that the new framework is targeted at helping communities mitigate inevitable disasters they face before, during, and after they occur. While applauding NEMA for taking the lead in designing a national strategic plan towards implementing the Sendai framework, Beyai reiterated the UNDP’s commitment in supporting Nigeria's implementation of the new plan. He noted, however, that in implementing the framework, Nigeria must make sure that itcombines disaster risk reduction with building resilience by developing the capacity of communities to bounce back from shocks. “We must find local solutions because they are very crucial to disaster risks reduction. What works in one community may not naturally work in another. “We must also promote inclusion. We all know that during disastesr, women, youths, the elderly and people with disabilities are often affected the most. Everyone needs to be included. The elderly with their wisdom and unique perspectives and the youths with their strength and courage to tackle issues at hand,” he added. For his part, the ECOWAS Commission’s Principal Disaster Reduction Officer lamented that Africa is the most vulnerable continent to natural disasters with negative impact on the economy and the social development of the entire continent. He stressed that based on the foregoing, stakeholders must shift from the fire brigade approach and focus more on prevention while also ensuring better management of disaster and reduction. Ibrahim, therefore, pledged ECOWAS Commission’s continued support to Nigeria in designing a national framework for disaster risk reduction. “I’m reaffirming ECOWAS commitment to member states and most especially, the federal republic of Nigeria to promote the actualisation of the four priority areas of the Sendai framework on disaster reduction,” he said. Sidi said the SFDRR would help the country in developing strategies to further reduce disaster risk and build disaster resilience. “We must therefore work to prevent new risks and reduce existing ones and, where we cannot prevent, we must be ready to build back better,” he added.